At the EV3 programming clinic, people were asking how to get the Gyro sensor block. The Education edition should already have the gyro sensor block, the retail version does not. To get the retail version of the EV3 software, visit http://www.lego.com/en-us/mindstorms/downloads/download-software . Then at Robot Square – Adding Sensors it describes, step by step, how to add the Sensor blocks. One quick hint, here is a direct link to the Sensor Blocks download at Lego.com. The sensor blocks are about halfway down the page. The final deadline is almost here! 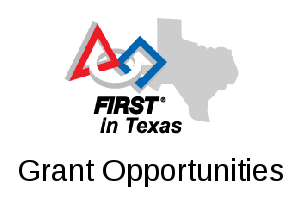 Submit your completed applications by October 15 at 5pm CST. Mark your calendars and ask your questions now! For other details on the grant process, like a timeline on notifications and awards, visit our Grant Calendar.